The Wildcats have shut out the Raptors 6-0 in the last two section championships. When you think of continued success at the professional level in the 2010s, teams like the New England Patriots, Golden State Warriors and Chicago Blackhawks come to mind. In that same span, Minnesota high school programs like Eden Prairie Football and Hopkins Girls’ Basketball are on the shortlist of the most successful. 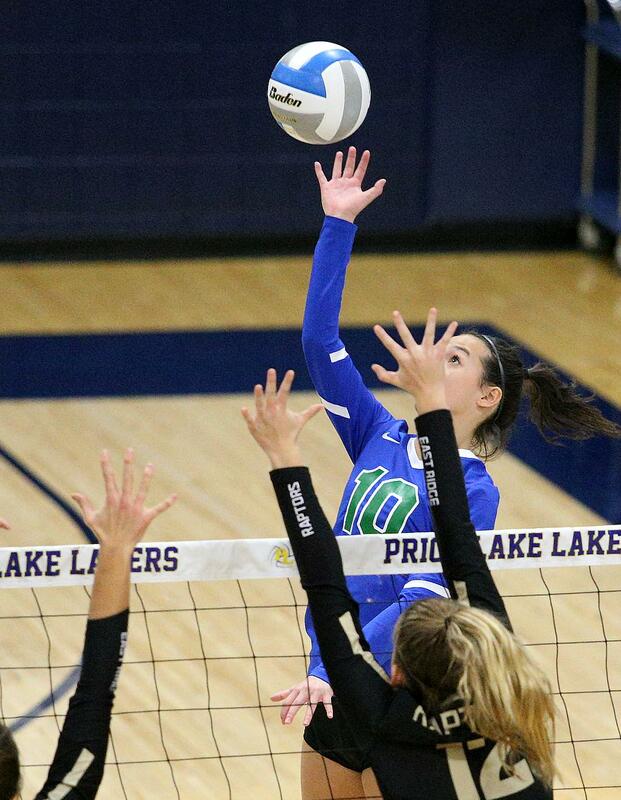 At the top of the list for volleyball might be Eagan. 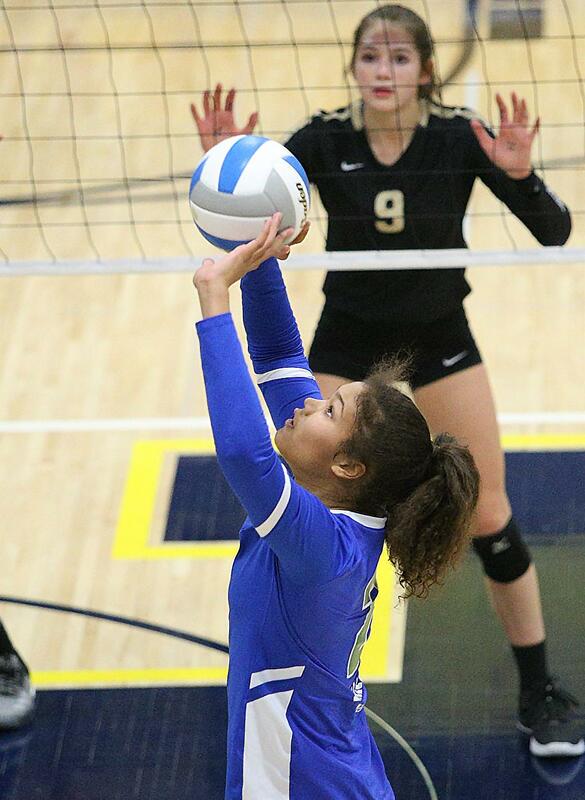 The Wildcats (27-2) clinched their sixth-straight trip to the state tournament after defeating East Ridge (20-10) in straight sets 25-21, 25-13, 25-18 in the Class 3A, Section 3 championship at Prior Lake High School on Saturday. The Wildcats entered the match as the one-seed in the tournament and they came in with high expectations to make what’s become their annual appearance at the Xcel Energy Center, but coach Kathy Gillen knows this is not a routine. Bill Belichick of the Patriots implores players to do their jobs and success will come. Alabama coach Nick Saban doesn’t care about results, but wants his players to follow the process that he has set forward for them, no matter the score of the game. Gillen and her girls have set a precedent for success year-after-year, and it’s executed from players leading by example. “I don’t think there’s a magic, secret potion for (the continued success). They have a set standard, and they practice at that standard and play at that standard and I think that helps us rejuvenate,” Gillen said. The Wildcats made Saturday’s win look easy at times, but it didn’t start out that way. They won the first set 25-21 after a competitive affair that saw the second-seeded Raptors with the early lead. Once they got settled in, however, the Wildcats took the momentum of the first set victory into the next, starting the second set with a 6-0 run. Once the Raptors got into that hole, East Ridge coach Steve Anderson knew it would be tough to come away with a victory. Anderson knew coming into the matchup that his squad would have their hands full with arguably the best team in the state. He said Eagan’s transition play, turning defense into quick offense, is “relentless” and just one of the factors that make this team so tough to beat. Despite the loss, he was proud of how competitive his team played, against Eagan and throughout the season. The Wildcats got great contributions throughout the lineup. Ellie Husemann tallied up points with 10 kills, while Kelley Johnson constantly set up her teammates, racking up a team-high 17 assists. The conductor of the well-oiled machine was Kennedi Orr, who did a little bit of everything on the court. She had a game-high 14 kills and added 16 assists and four blocks. “She still stops me sometimes and I say, ‘wow, how did she do that?’,” Gillen said about Orr. 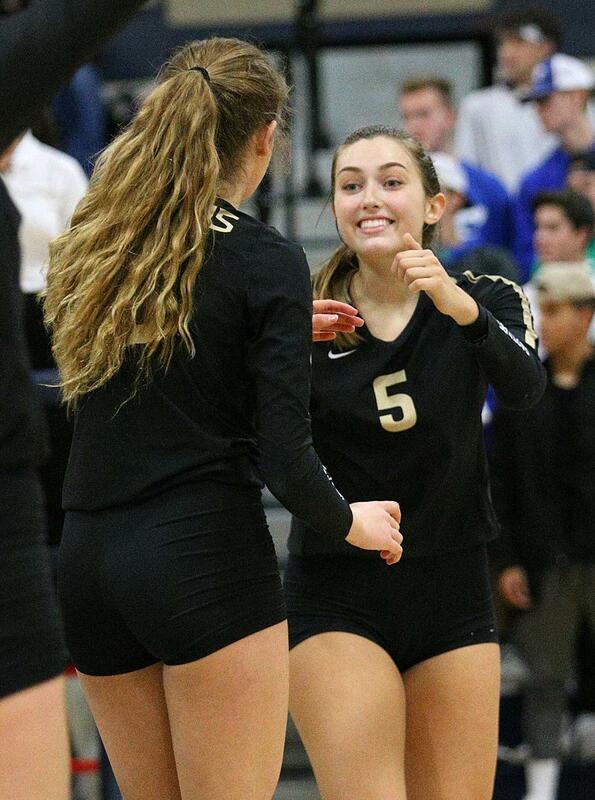 Gillen mentioned that Orr is playing outside of her comfort zone, as she’s a setter by nature, but can interchange and become a hitter, as her 14 kills proved. What has impressed Gillen the most about Orr is her leadership on the court and how she sets an example for her teammates. “She’s a leader on the team, she stays composed. She’ll make mistakes but they don’t change her attitude or change what’s going to happen next, she just comes out strong the next play,” she said. Now the Wildcats return to the state tourney with the hopes of winning their fourth title in six years. Gillen restated that there’s no “magic potion” to go far in the tournament, it takes hard work. “We hit the gym, we work hard, we try to get ready, mentally ready and physically ready, for a tough grind of three really tough games ahead,” she said. 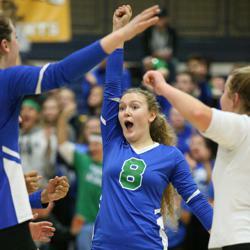 Eagan is advancing to its sixth-straight state tournament after defeating East Ridge in straight sets 25-21, 25-13, 25-18 in the Class 3A, Section 3 championship at Prior Lake on Saturday. The Wildcats (27-2) came into the tournament as the No. 1 seed, and they proved they were the best team throughout, having never lost a set on their way to the title. The first set Saturday was the most competitive of the match. There was constant back-and-fourth play with neither team being able to go on a long run. It looked like the rest of the match would remain competitive, but the Wildcats took over in the second and third sets, giving Eagan six-straight set wins against the Raptors (20-10) in back-to-back section championships. The Wildcats put together an impressive team performance, but it was Kennedi Orr who stood out. She set up her teammates and finished off scoring plays with ease, finishing the night with 16 assists and a team-high 14 kills. The Raptors’ attack ran through Stephanie Barber. Her teammates constantly found her near the net to set up plays. She had a game-high 17 assists. The Wildcats start their run at the state tournament next Thursday at the Xcel Energy Center in St. Paul.